Tony Leach, son of Mr and Mrs B. T. Leach, Wainui Road, has been away on a working holiday all over Europe, during the past year. The highlight of this trip being, of course, the recent Olympic Games in Munich. 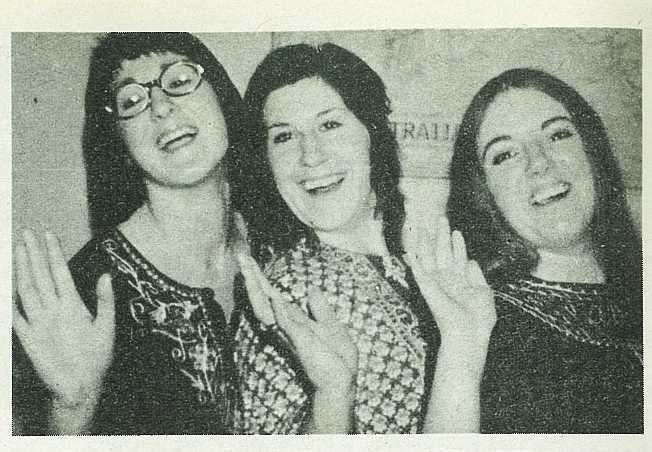 Tony's sisters, Susan (left) and Lynda (centre), have been on a working holiday in Australia for the past two and three years respectively, and are at present in Darwin. Lynda recently celebrated her 21st birthday. They are pictured (all "doing their thing" –unquote) with Jenny Hepburn who is the third member of the trio. 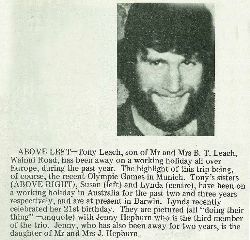 Jenny, who has also been away for two years, is the daughter of Mr and Mrs J. Hepburn. 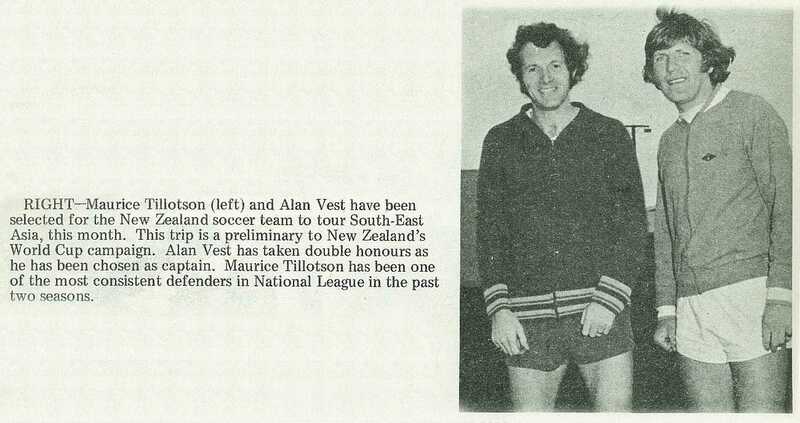 Maurice Tillotson (left) and Alan Vest have been selected for the New Zealand soccer team to tour South-East Asia, this month. This trip is a preliminary to New Zealand's World Cup campaign. Alan Vest has taken double honours as he has been chosen as captain. Maurice Tillotson has been one of the most consistent defenders in National League in the past two seasons. 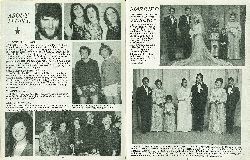 Rosalie Margaret Hall celebrated her coming of age, recently. Rosalie is the daughter of Mr and Mrs Stuart Hall, 14 Murphy Road, Wainui Beach. 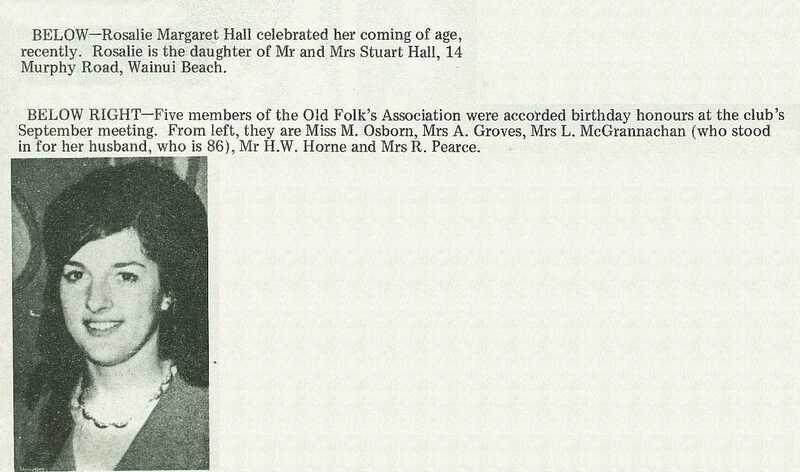 Five members of the Old Folk's Association were accorded birthday honours at the club's September meeting. 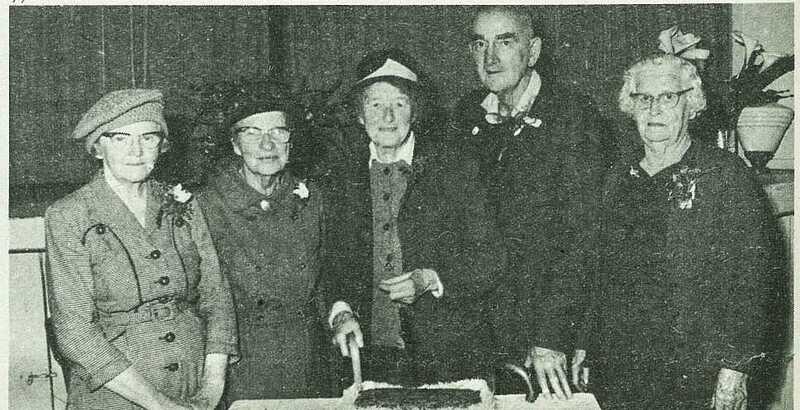 From left, they are Miss M. Osborn, Mrs A. Groves, Mrs L. McGrannachan (who stood in for her husband, who is 86), Mr H. W. Home and Mrs R. Pearce.